ALCs (All-contained Liquid Coolers) are now regarded as a mainstay in the cooling market, bridging the gap between air cooling and custom water-cooling. Cooler Master are new to this arena and today sees their first attempt at bringing to market a 120mm offering to the enthusiast spotlight. The Seidon series is a new venture for Cooler Master, and the 120M is the first instalment for what promises to be a successful undertaking for the cooling giants. 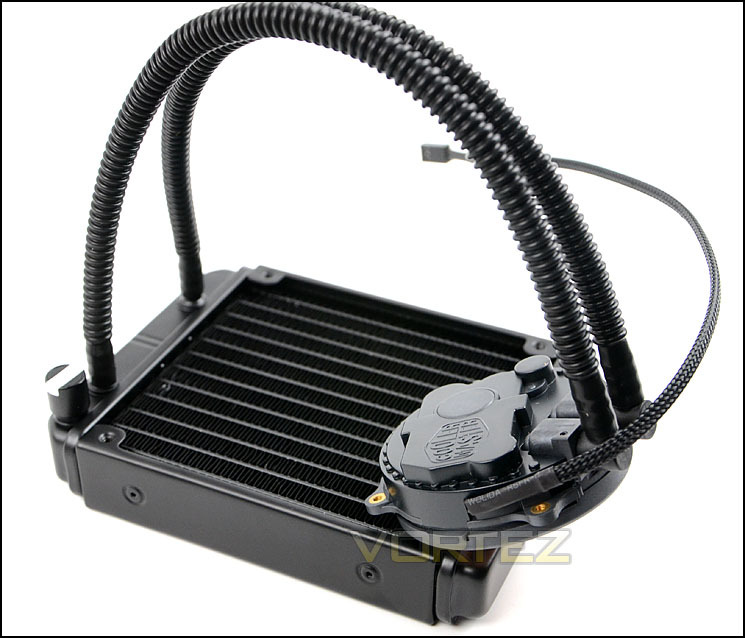 The abundance of all-in-one coolers that are currently available take third parties for their pump design but Cooler Master have actually engineered their very own product in their own factories. This is certainly a bold move and will undoubtedly cause anticipation not just for enthusiasts and reviewers but for other manufacturers too. So what are we waiting for? Let’s begin our review. The Seidon 120M is Cooler Master's latest, incredibly compact watercooling kit that aims to bring watercooling to the masses. It fits in virtually every case, is compatible with every available Intel and AMD platform, and as easy to install as a heatsink. It comes factory filled, sealed and tested with a two year zero maintenance guarantee. Thanks to a 120mm PWM fan with a wide RPM range Seidon can operate silently or unleash a powerful cooling storm at your command.